Kiersten has been an educator for the past nineteen years. After graduating from college, she taught photography (the old-school way, in a dark room) to middle and high school students in Yonkers, NY. She then taught third and fifth grade and served as the literacy coach at P.S. 125, The Ralph Bunche School, in New York City, where she also coached the chess team. After joining the professional development team of The Ralph Bunche School as a literacy coach, she began teaching education courses at Pace University as an adjunct professor. She quickly became passionate about teaching teachers how to teach reading and writing. Kiersten started her doctoral work in Urban Education with a focus in Educational Policy at the City University of New York Graduate Center in 2005. She taught undergraduate and graduate level education courses at Hunter College and assisted professors in instructional technology activities at the CUNY Macaulay Honors College at Hunter and Baruch. 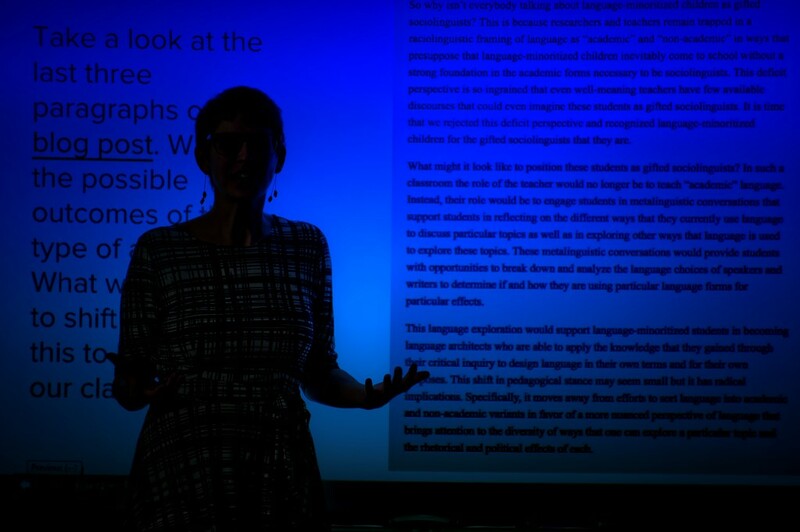 She is now an Assistant Professor of Literacy at the State University of New York at New Paltz and teaches in the Department of Teaching & Learning, where she teaches literacy methods courses to pre- and in-service elementary school teachers. Each of her courses is set against a digital pedagogy backdrop, and students learn how to build websites, develop digital storytelling skills, and deepen their knowledge of digital citizenship. And perhaps more importantly, her courses also explore elements of anti-racism in the teaching and learning of literacy in digital times.